Should Landlords Act as Parents? The wrestling match is over. It’s on the books. A few days ago Boulder’s City Council stepped up enforcement of nuisance laws holding landlords accountable for tenants bad behavior. Some landlords are steaming but local residents may have won an important new way to maintain safe, livable neighborhoods. There are many student renters in neighborhoods close to CU. Their presence is an obvious reality in Boulder, but it’s sometimes a challenging for certain neighborhoods. Most students integrate themselves into a neighborhood without causing problems. The good ones clean up after themselves, let neighbors know when they’re having a party, and don’t need additional enforcement of laws. They’re more or less good neighbors. This new ordinance is for the bad apples. 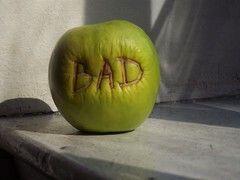 The bad apples are those kids who ignore repeated warnings from police and neighbors. Who let their driveways collect unwanted papers and their yards become overgrown with weeds. The street outside these residences are usually packed with cars, and the property might look a little run-down. Maybe they light firecrackers late at night or have loud drunken parties which attract hoards of students. And when things really get out of control, the bad apples have even been known to set the proverbial couch on fire in the backyard. Not exactly what you’d want to live next to. In the past, the City found it difficult to hold renters responsible. This is why the Council made the controversial choice to send the landlord the bill. The beefed up rules have also added what counts as a “strike” against a property to include violations of state law (such as underage drinking) in addition to municipal ordinances. After two strikes, the nuisance abatement process begins and if landlords don’t attend mediation efforts, the City can now take them to court directly. Should landlords be forced to act as parents? Probably not. Will it force them to more carefully choose their tenants? Perhaps. Is it fair? Arguable. The landlord’s position, that they will be accountable for the behavior of another party is worth consideration. Is it right to hold the property owner responsible when another adult breaks a state or local law? But it also seems clear to me that the community has created an economic opportunity for landlords by having a world class university and great neighborhoods. When that economic opportunity has external costs to the community, the community should have the ability to bring it back. Like it or not, the ability to rent your residential property to tenants has been regulated by the City for a long time. While these new regulations give the City increased power, it seems unlikely to me that it will have a major impact on most landlords other than to encourage them to find better tenants and/or require additional security deposits. As they say, the proof will be in the pudding. And if the changes don’t work out, no doubt residents and landlords will be back in force in 2009 when the regulation automatically expires unless renewed. If you have strong feelings on the matter, in favor or against –be sure to let your elected representative know. Here’s contact information for the members of Boulder's City Council. Leave a comment here as well. Ha! The price they pay for their inflated rental home values (and rents). I have no sympathy for landlords. In the past, the City found it difficult to hold renters responsible. ??? These "kids" are old enough to die for their country, but the City is powerless against them? Sounds like the problem here is that the city needs to grow a pair. What ever happened to personal responsibility and accountability in this country. Nobody should be made responsible for anyone of adult age.